Deutsche Börse Group is an international company. Its head office is located in the financial centre Frankfurt/Rhine-Main. With more than 5,000 employees working at a total of 38 locations in 29 countries, it has a truly global presence. Learn more about our largest locations in Frankfurt/Main and Eschborn, Luxembourg and Prague below. 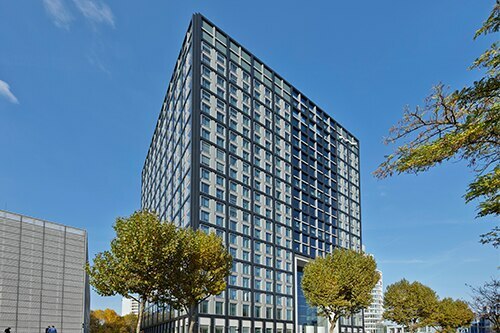 Deutsche Börse Group has three office buildings in the Frankfurt area: in the town of Eschborn, located just outside Frankfurt’s city limits, at “Industriehof” in the city’s Hausen district and at Börsenplatz in the centre of Frankfurt. The headquarters of Deutsche Börse Group are located in Eschborn, accommodating the majority of employees. The vaults and data centre are based in Hausen with a staff of approximately 80. The Deutsche Börse Group headquarters are located approximately seven kilometres from the centre of Frankfurt at Mergenthalerallee 61 in Eschborn. The 21-story building is about 90 metres high and consists of two L-shaped towers which are linked by eleven walkways and eight bridges. The entire structure is encased in a glass façade. The building has been constructed to the highest ecological standards; an integrated combined heat and power unit provides up to 30 per cent of the electricity needed. In the Group headquarters, employees mainly work in open-plan office facilities. A variety of conference rooms on different floors are suitable for smaller and larger meetings. The offices are modern, highly flexible units, made light and airy by large window fronts. The spacious foyer forms the heart of the building; it is a place of communication and is used as a stage for a variety of events. Photographs from the Art Collection Deutsche Börse offer inspiration and add an individual note to the building’s interior. Large-format works by German and international artists were compiled for the collection. An extensive art terrace offers the perfect setting for special exhibitions. Artworks also add to the ambience in the building’s spacious staff restaurant with an area of 2,000 square metres. The Luxembourg-based home of Clearstream reflects – perhaps even more so than the other locations – the internationality of Deutsche Börse Group, with a diverse range of nationalities all working in one location. In the typical architectural style of the Group, the office buildings, named “The Square”, are light, spacious and open-plan, encouraging communication and interaction among employees. The architectural style and furnishing is in line with the corporate design. As part of corporate culture, the art collection “XL Photography” has also been extended to Luxembourg, with a number of contemporary art works exhibited for the pleasure of both employees and visitors. 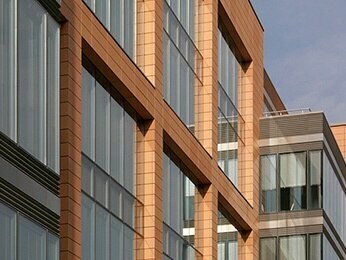 At the same time, The Square’s large glass fronts combined with terracotta also emphasise the individual characteristics of the location. The building’s modern and innovative character is also reflected in its centralised recycling system. 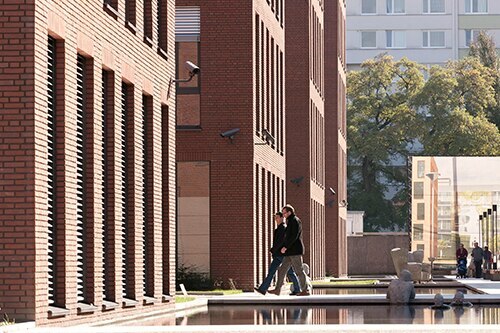 The Clearstream headquarters are located in the Kirchberg business and financial centre. The staff restaurant offers a wide choice of dishes and the large shopping mall just opposite the front entrance makes for a nice change of scenery at lunch time. The headquarters of two Deutsche Börse Group companies are located in Prague: Deutsche Börse Services s.r.o. and Clearstream Operations Prague s.r.o. At present, more than 600 staff members from both companies work in Prague, making for Deutsche Börse Group’s third-largest hub after Frankfurt and Luxembourg. Deutsche Börse Services s.r.o focuses on the areas of trading, clearing and settlement. The Prague office supports the development and maintenance of Deutsche Börse Group’s IT systems, working in close cooperation with colleagues from the other main locations. The specialised development teams are often cross-border entities made up of employees from various locations. The projects thereby profit from the strong network between the Group locations in Prague, Frankfurt and Luxembourg. Clearstream Operations Prague s.r.o mainly focuses on back-office operations for the custody and settlement areas. The teams of Deutsche Börse Services s.r.o and Clearstream Operations Prague s.r.o both work in the Futurama Business Park, situated in the city’s Karlin (Prague 8) district. The building is close to the underground station Invalidovna. A number of shops, restaurants and hotels are nearby. The district of Karlin is a popular location for Czech and international companies. Deutsche Boerse Systems Inc. is located in the iconic Willis Tower (formally Sears Tower). Presently home to more than 60 employees, the tower has been home to Deutsche Bӧrse Group companies since 2004. The Chicago office encompasses both sales activities and IT operations, working in close collaboration with colleagues from other Deutsche Bӧrse Group companies and locations. In addition to sales and IT operation, Chicago is also the location of centralized administration and Human Resources for North America. Mere steps away from the Financial district, the hub of Futures Trading in the United States, the Chicago office is unique in that sales and IT work closely together and have easy access to the customer offices. The tower is located in downtown Chicago, and as you might expect, there is easy access to world-class fine dining as well as quick–casual options. 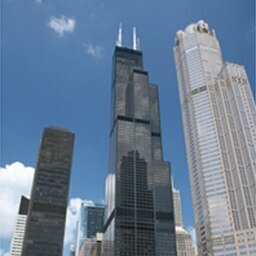 Chicago is easily accessible via air travel and has a well developed public transportation system. The Singapore Branch of Clearstream Banking S.A. exhibits the internationality of Deutsche Börse Group (DBG) and has a diverse range of nationalities all working in one location at Republic Plaza. 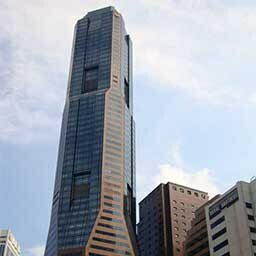 This is one of the four tallest skyscrapers in Singapore, located at the Southern end of Raffles Place in the Downtown Core, the Central Business District of Singapore. It shares the title of “tallest building” with One Raffles Place, UOB Plaza One and Tanjong Pagar Centre, this being the newest & tallest building amongst the four. Nearby, the Local Big 3 Banks (DBS, UOB and OCBC) provide easy access with convenient banking facilities for the working group. A variety of restaurants, salad bars, cafes and shopping malls caters a wide range of interesting selections for the office crowd during lunchtime. Indeed, the Central Business District is a fast-paced and vibrant scene during the workweek, which is a great contrast to the extreme seclusion on weekends. Clearstream Global Securities Services Limited is a non-banking subsidiary of the Deutsche Borse Group. The subsidiary provides support to the trading and custody businesses of the Clearstream Banks across Europe and the Americas, by providing back office and data processing functions. The specialisation and efficiency of these combined banking and processing services makes the Clearstream Group the clearing organisation of choice for the investment fund industry. In addition to this, the office is home to a newly establish SAP team consisting of various elements such as data warehouse and AIX developers. 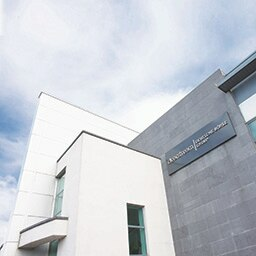 The Cork office is located in Cork Airport business park just on the outskirts of Cork city. The office currently have a staff of just under 400 people. This office has been a financial house since early 2000 and part of the Clearstream Group since 2014. The office is a short drive from the city centre where there is an array of restaurants, shops and cultural attractions.